Be that guy. The one who takes his time to choose the flowers. 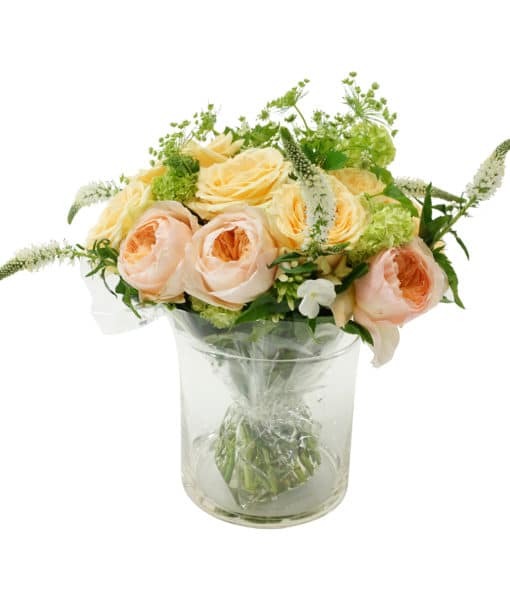 If roses reflect her gentle nature, chances are she’ll love the delicate peaches and cream and foliage vibe. 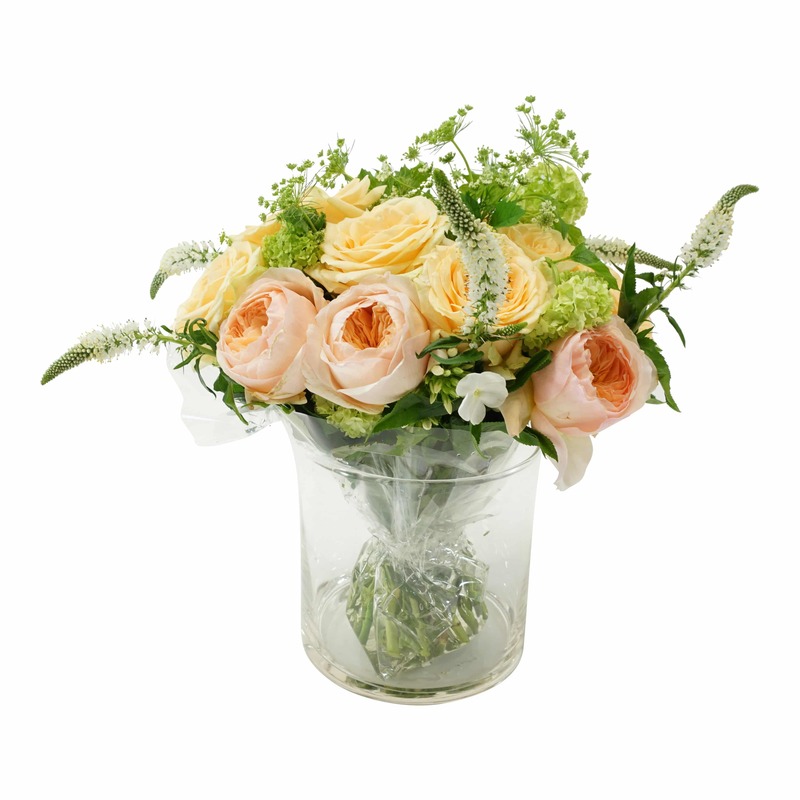 A compact bouquet of peach Avalanche Roses complemented with white Veronica and a collection of foliage.